Does blue make your world go ’round? From a blueberry-hued monkey to a sky-colored train, this tabbed board book showcases the many shades of blue! If everything were blue, a blue monkey would bounce on a blue trampoline, blue pigs would float away in blue hot-air balloons, and blue trees would blow in the wind! From blueberry to sky, forget-me-not to turquoise, this book is a celebration of color. 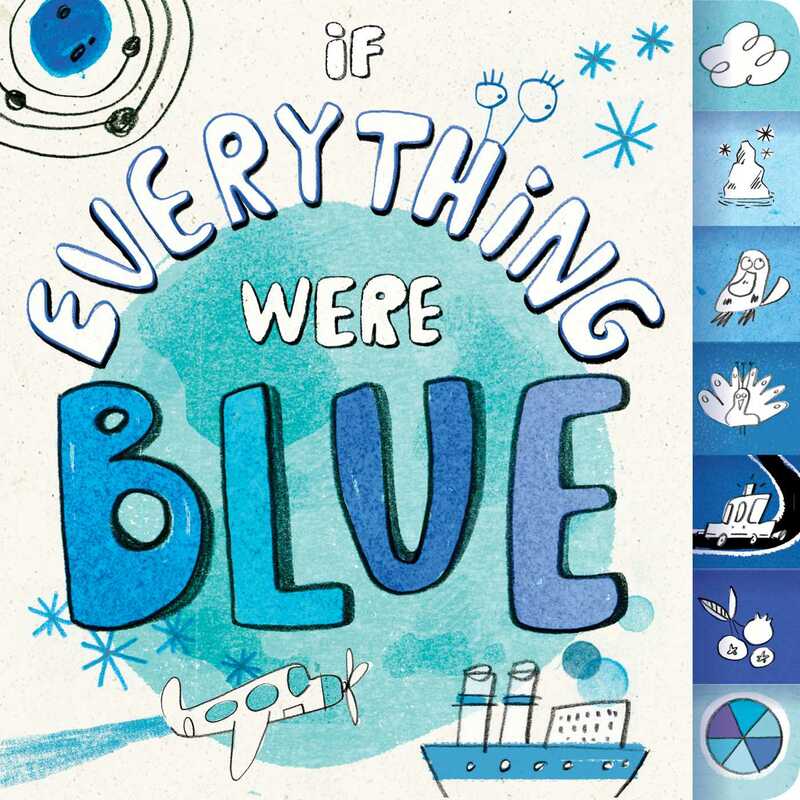 Each shade gets its very own tab in this novelty board book, and readers will love using their imagination as they explore the world of blue. Lalalimola is Sandra Navarro. She was born and lives in Valencia, Spain. Sandra is a multitasking illustrator and graphic designer. She works primarily within children’s book illustration, working with international publishers as well as advertising agencies.